(Germany) A tax inspector has smashed the world record for the number of beer tankards carried at once after he managed to carry 29 brimming vessels over 40 metres. 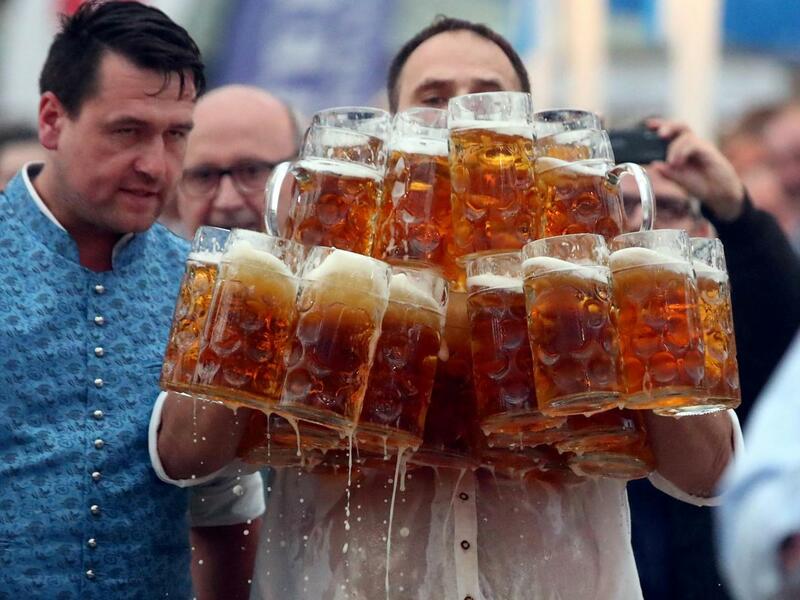 Oliver Strumpfel, a tax inspector, clinched the title at a festival in Bavaria on Sunday after carting dozens of the litre sized glasses which weighed almost 70 kg (154lbs) in total. The 45-year-old almost carried 31 glasses but unfortunately one glass dropped at the very last moment and another ended up losing more than 10 per cent of its beer. He was cheered on and then applauded by 1,500 onlookers yelling “Oli, oli” at the Gillamoos Fair in Abensberg where he carried out the Maßkrugtragen – otherwise known as beer tankard challenging - challenge. "I first did 27, because I wanted to be sure and then at the end I said, 'Let's add another one and get over 30'," Struempfel said. "Unfortunately it didn't quite work, but having managed to put 29 down ... I think it's amazing." But preparing for the festival in the southeastern Germany city, which is also home to the infamous Oktoberfest which is the world’s biggest beer festival, was no mean feat. Mr Struempfel said he had been training at the gym three to four times a week since February.